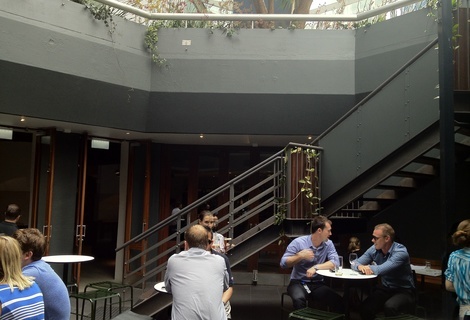 Inconspicuous, modern inner city bar – outstanding food and great value. Lalla Rookh was reviewed on Friday 23rd November 2012 13:30 by Richard. As a few friends now know that I review pubs fairly regularly, more and more frequently I’m getting asked to suggest places to go for lunch in the city. I always struggle to come up with just one answer and sometimes I just name the first pub that comes to mind. The next time I’m asked, my answer will almost definitely be Lalla Rookh in Allendale Square. A friend and I had a late lunch there last Friday and let’s just say that I’m going to be back there very very soon. Formerly the site of a night club, The Foxy Lady (in the 70’s) and more recently Emporio Bar, Lalla Rookh has recently undergone a major renovation. The place looks great, over 800sq meters of modern furnishings and fittings spread over a bar, beer garden, wine store and restaurant area. We took advantage of the sunny weather and grabbed one of the last remaining spots in the sunken outdoor area. The only thing that annoyed me, and it may be down to occupational health and safety reasons, is that we weren’t allowed to order from the full menu sitting on the stools at one of the raised tables outside. When we informed our waitress that we wanted to order from the full menu she happily offered to find us another spot, to which we agreed. Service on the whole was good, bar and wait staff were friendly and efficient and I love the fact that full table service is provided. No stupid buzzers or temporary table numbers! Another thing I absolutely loved about Lalla Rookh was the value, it is so refreshing to see that all pints of beer were either at or below the $10 mark, there is nothing worse than ordering a pint and being asked to hand over $10.35 or some other obscure amount. Not only were the drinks great value but I’d argue that the value of their food, given its quality, is unmatched anywhere else in Perth. I mean it’d give some of the NSW/QLD pubs a good run for their money, which is incredible considering that their low prices are subsidised by pokie revenue. I ordered the fish fillet burger and my friend had the char-grilled lamb chop. I’ll be honest, when the food came out I thought I should’ve ordered something else as the fish burger looked quite small but it turned out to be more than enough. 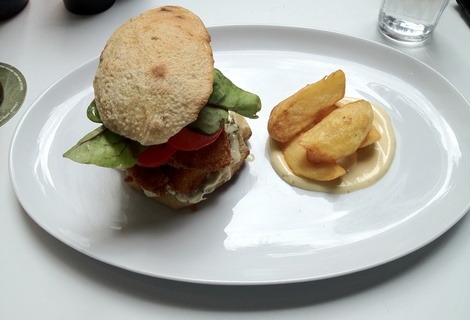 The fish burger was excellent, the fish was cooked just right, the sauce was tasty and the sourdough bun was a nice touch too. 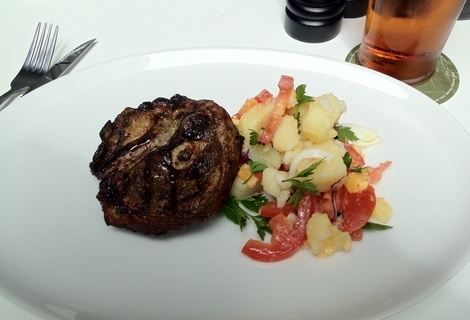 My mate’s lamb chop was also good and at $21 it was awesome value. 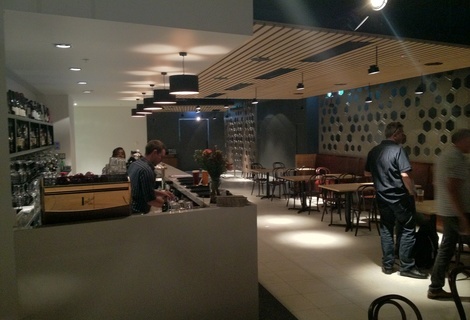 Both our meals came to $46 which, given their quality, is insanely good value for a Perth CBD bar. The head chef and his team definitely know what they’re doing back there and their use of fresh, quality ingredients is a testament to that. You’ll really struggle, as did we, to decide on what to order from the menu, it’s packed full of modern Italian dishes, including fresh homemade pasta, pizza and a range of other meat and fish dishes. I really didn’t want to leave, so we stayed for a few more $10 pints of James Squire before heading off. The next time you’re planning a lunch for you and your workmates/friends in the CBD, take them down to Lalla Rookh, it’ll impress the pants off them. 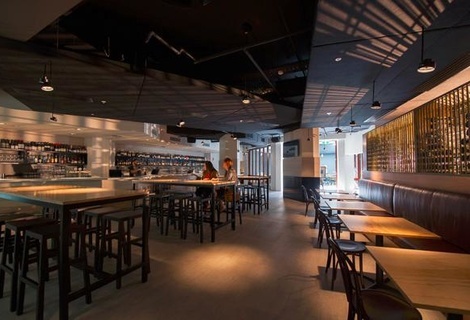 8/10Andaluz Tapas Bar in Perth, WA (93m away)Central small bar with quality tapas and fantastic cocktails. 7/10Greenhouse St. Georges Terrace in Perth, WA (98m away)Hippy heaven, an environmentally friendly place with great food. 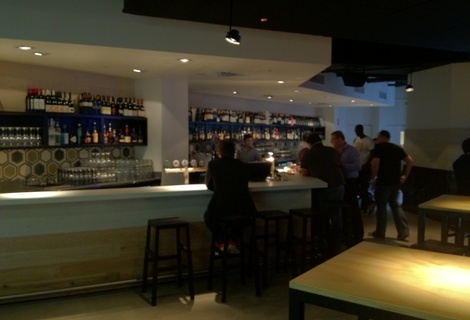 8/10Helvetica Bar in Perth, WA (106m away)Trendy little whisky bar tucked away between the office towers of Perth.